Second week of caricaturing went off with a bang. 4th of July was the big day me and the park’s CEO were preparing for, and it didn’t disappoint. I think I was drawing constantly for eight hours straight. I type this after having rubbed Bengay on my drawing hand. Rent for the month of July has been paid for, even after giving the park their cut. And I still had a little left over to put in my pocket. Not too shabby. Park was technically open until midnight, but I had to tap out after eight hours or I wouldn’t have been able to survive the weekend. I decided to take my sweet time getting home and, since Springwater Corridor is right next to Oaks Park, I decided to see what that was all about. My dad has been a fervent cyclist my whole life and he would love this trail. 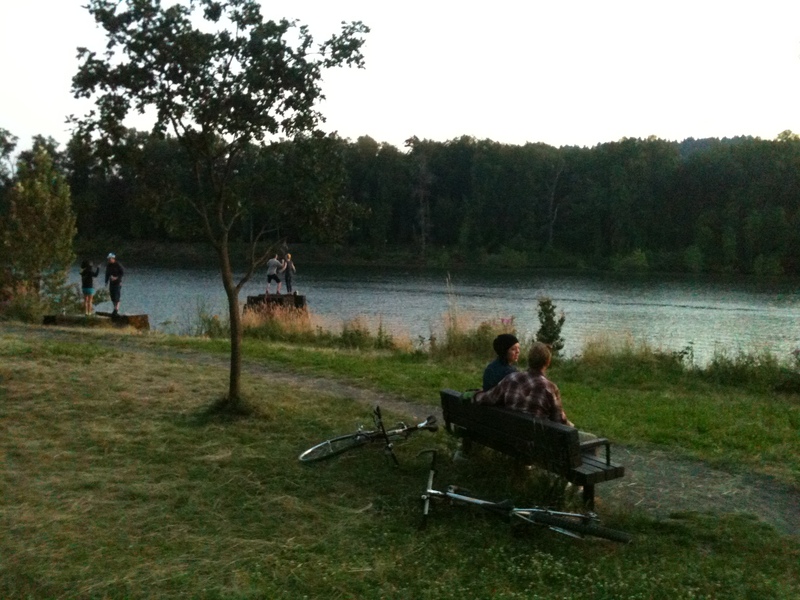 It extends 21 miles down the Southeast side along the Willamette River, so you get to see all of the city as you ride along it. All the way home, there were people either on their bikes or setting off fireworks. All the way. That’s all you saw or heard. Bikes and fireworks baby. Bikes and fireworks.